Each Wednesday we post a photograph that illustrates some of our work. 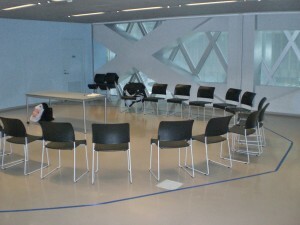 This one shows a room at Seattle’s Downtown Central Library we affectionately call “The Spaceport”. 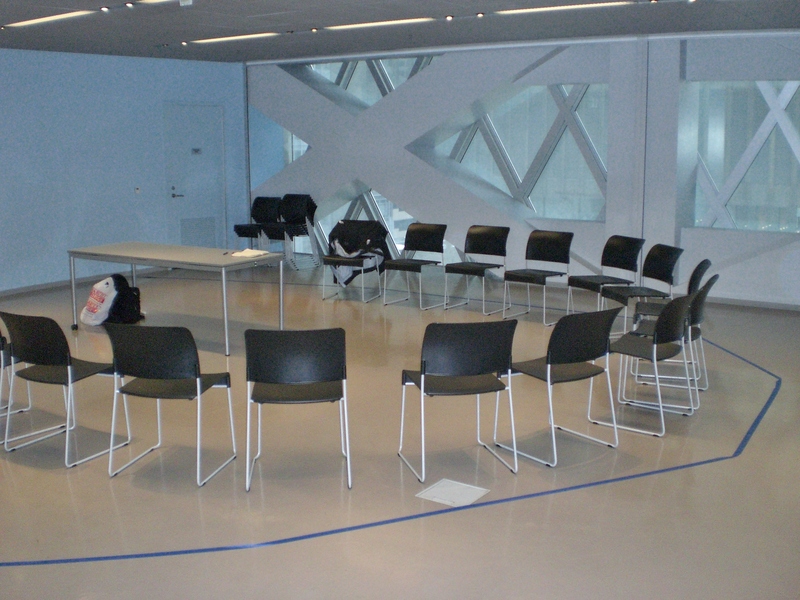 Part of our experience design work relies on getting participants out of their habitual environment and into new spaces. The picture doesn’t do the room justice, it’s like a white operating room on a space station (unless it’s cloudy outside, which occasionally it is). To stimulate new thinking, new behaviors, and new possibilities, we’ve also taken clients an empty high-school, the top of the Space Needle, a parking lot, and the roof of their office building. Check back next Wednesday for another perspective on how we work.